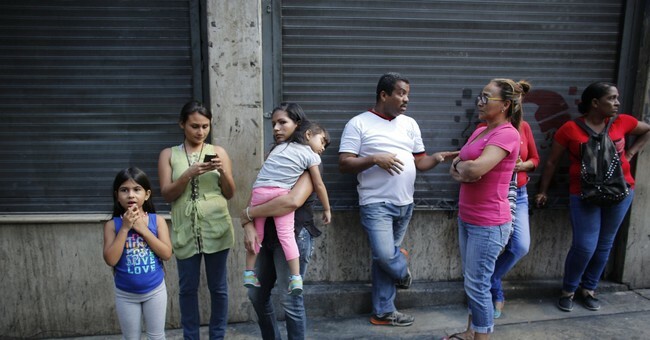 As the crisis in Venezuela's socialist dictatorship deepens – gripped by mass hunger, starvation and a lack of medical supplies - there is no comfort even for the dead. One Venezuelan, who asked his name not be published, described the sudden death of his father in the capital Caracas last week, which left the family without a vehicle to take the body to the morgue. It took more than a day for the body to be collected. And even then, the family had to say their goodbyes – they had no money for a funeral, or burial – praying the body would be disposed of in some kind of mass cremation. For every day a body remains in the morgue, the cost rises, leaving families without the means for collection. In such cases, loved ones are simply left stranded – their relatives in mourning, not knowing what to do, and without closure. Welcome to 21st-century Socialism, folks.